ClichÃ© though it may be, no other nation does barbecues like they do Down Under â€“ good beer, great ingredients (and loads of both) and better weather (ok, the last bit is just luck). Admittedly Iâ€™ve never heard an Aussie actually say â€œPut another shrimp on the barbieâ€ but thatâ€™s probably because itâ€™s already on there. 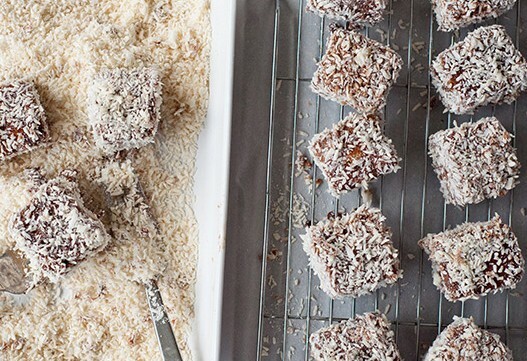 A cultural icon (according to the National Trust of Queensland), the Lamington, a sweet sponge with a jam filling, even has a national day devoted to it. Named after its creator Lord Lamington, itâ€™s dipped in chocolate and coated in coconut â€“ which compares favourably to Jamieâ€™s classic school pudding, the Jammy coconut sponge, simply because of the addition of chocolate. While opening the Jamieâ€™s Italians in Perth, Sydney and Canberra, we discovered that higher-welfare Australian beef is quite something. 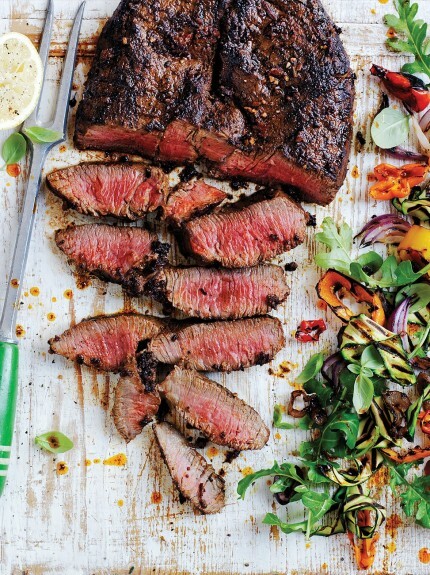 Judging by how it flies out of the kitchens every service, the Aussies love their steak, so hereâ€™s one of Jamieâ€™s favourite recipes â€“ perfect for a prime cut. With south-east Asia a short flight away itâ€™s natural that Australia developed a taste for sweet, sticky, sour Asian flavours â€“ and theyâ€™re getting bigger all the time Down Under (even earning the alternative name dim sim â€“Â or dimmies!). 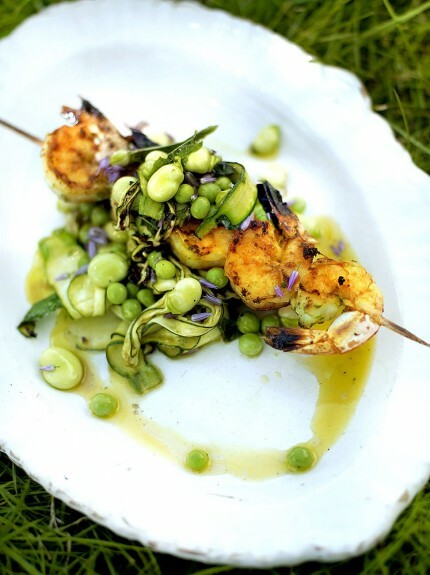 It seems that dim sum has captured their imaginations most, so try Jamieâ€™s barbecued (a great trick!) 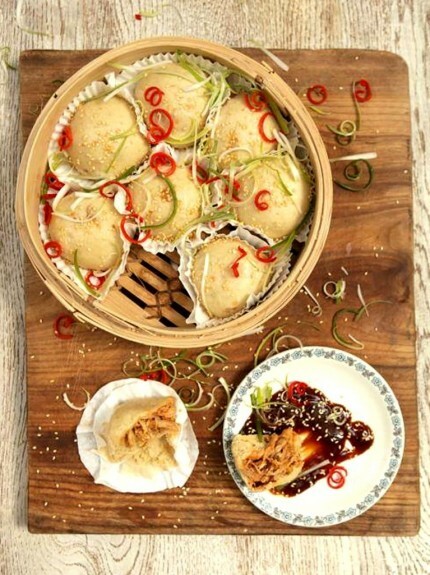 chicken dim sum â€“ itâ€™s doughy and delicious and boasts a gorgeous fiery marinade. 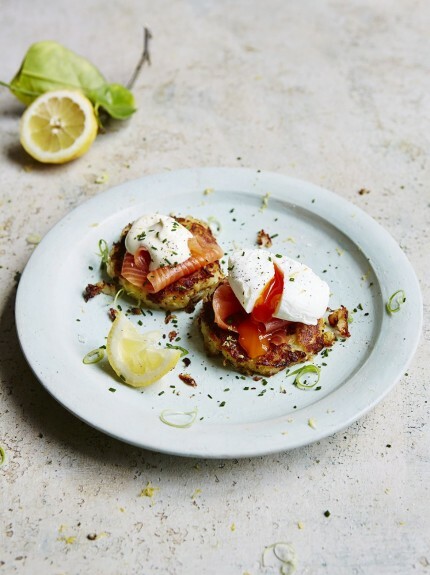 To be honest, you can ignore the smoked salmon and eggs in this dish. Weâ€™ve picked it because Australians love a fried potato cake. Well, most people do â€“ you canâ€™t beat that crispy-then-soft texture. They can also be topped with almost anything, which makes them a favourite in homes and takeaways throughout Australia. 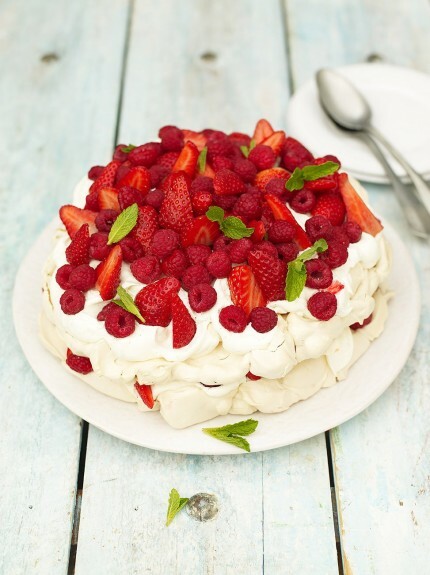 Apparently New Zealanders claim ownership of the Pavlova too, and on both sides the story is the same: the dessert was named after the famous Russian ballet dancer Anna Pavlova, following her tour of both countries in the 1920s. Quite why such a fattening treat was named after a professional dancer is unclear â€“ maybe she was just very sweet. The meat pie is a dish that is savored in different forms all over the world. However, the meat pie of Australia has attained the status of a national dish. Hot pies are actually a favorite with all the local people. Such is the fame of the meat pie that an annual Great Aussie Pie contest is celebrated to attract various pie makers. These sweet biscuits have an interesting history behind them. They are associated with the Australia and New Zealand Army Corps (ANZAC) that was established during World War I. Soldiers, who were away from home, received these biscuits from their wives. This is a traditional bread from Australia that is made without using yeast. A perfect camping food item, the traditional way of baking damper is to use the coals of a campfire. The basic ingredients used are flour, water, and, occasionally, milk. In olden days, the stockmen traveled for long periods of time with only basic provisions like flour and sugar.